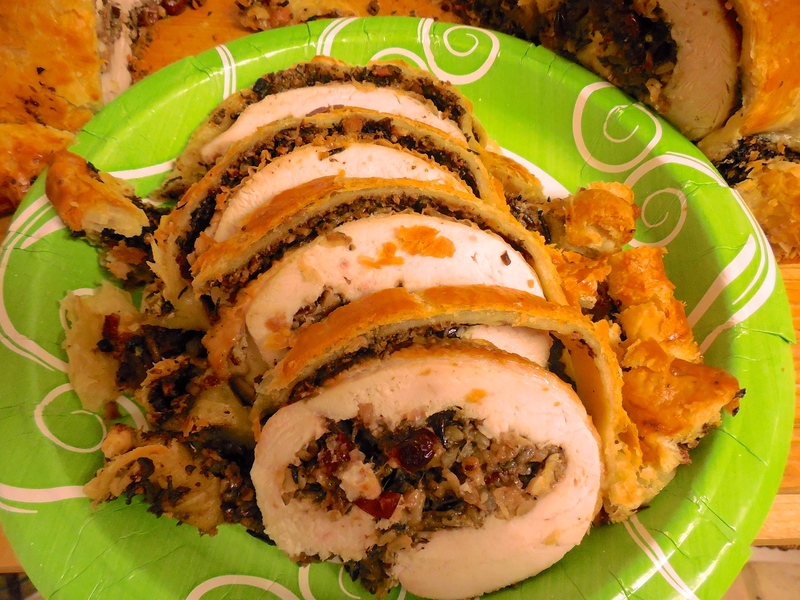 By now most everyone in the United States is up and elbows deep in some delicious turkey day preparations. My family’s Thanksgiving tradition generally involves no breakfast, me taking over any heavy lifting duties, as well as about 4 bottles of champagne for the cooks (of which there are usually 2 – you do the math). This year we decided to be smart about it and make something simple yet filling and delicious to fill our tummies before the main event begins. After just finishing my first bites and almost licking the butter container clean, I can tell you that these will definitely become a new part of our family tradition – how about yours? 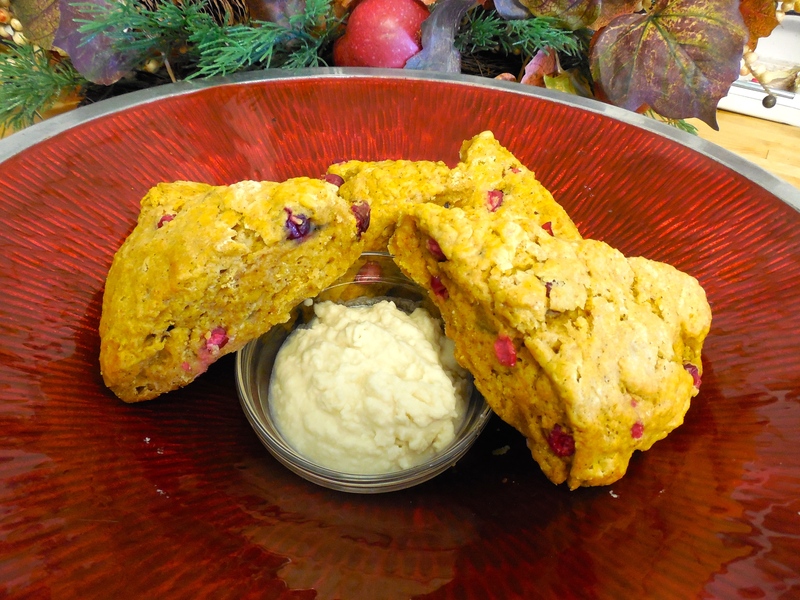 Cranberry and Pumpkin Scones with Whipped Maple Butter!